Kitchens and bathrooms see more renovations than any other room in a home. When it’s time to embark on a change in your Boston area home, first consider the latest bathroom and kitchen renovation trends. Modern options may give you inspiration or turn out to be just the thing that offers a significant improvement to your home and your family’s specific needs. High-quality, commercial-grade appliances are being installed more often. These sturdy and efficient appliances, including refrigerators and ovens, are durable, energy efficient and convenient. 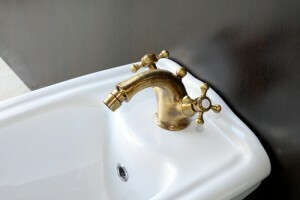 Bronze and copper fixtures are taking the place of the usual stainless steel or chrome. Touchless faucets are also getting more attention this year. Quartz and quartzite kitchen countertops will continue to be popular choices, sometimes more popular than granite. Grey paints and finishes are taking over as basic options, replacing beige and other neutral colors. Metallic options offer a way to add even more visually interesting highlights. Strong and sturdy under-mounted enameled cast iron sinks are increasing popularity as a clean-up station. These sinks are durable enough to last for years. As in the kitchen, touchless faucets and, specifically for bathrooms, touchless toilet fixtures are becoming more commonplace in new and renovated homes. Bathtubs are becoming less popular as many homeowners opt for a larger and more luxurious shower space. Radiant floor heating is being installed in more bathrooms. This type of comfort system heats the floor, allowing heat to radiate upward. Both efficiency and comfort levels are improved. LED lighting is gradually taking the place of incandescent and fluorescent lighting in bathroom renovations. LED fixtures are versatile and energy efficient while providing plenty of lighting for the room. For more information on bathroom and kitchen renovation trends that are making their mark in 2015, turn to Sage Builders LLC. Our team of experienced design/build professionals provide residential clients in the Boston area with professional kitchen and bathroom renovation services.